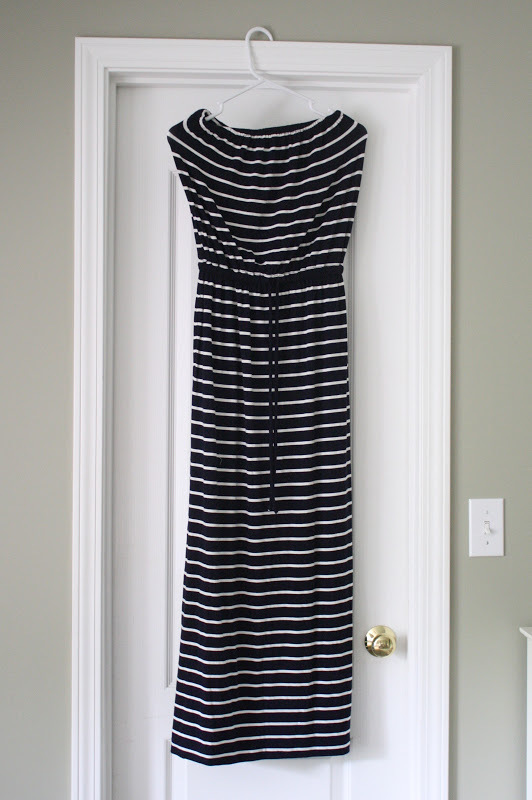 and was inspired to turn it into reality after my friend handed down a striped dress to me. It was a JCrew jersey strapless maxi. that you forget about in the back of your closet. I wanted it to hit right at my knee, and then I cut that much off of the bottom. pinning it into place and then stitching down the sides. Then I attached a thick elastic band at the top of the skirt.